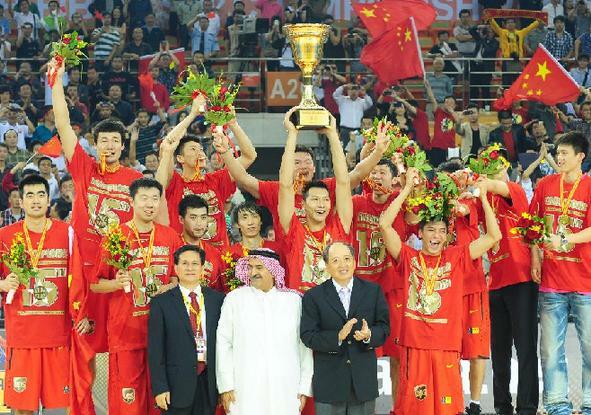 China claimed their 15th FIBA Asia Championship after beating Jordan 70-69 in the final on Sep 25th and will head to their third straight Olympic Games in 2012. Yi Jianlian of Washington Wizards became the new leader of Chinese team as he took 16.6 points and 10.8 rebounds per game, which both are team-high. Yi was outstanding with 25 points, 16 rebounds and six blocks in the final, deservedly claiming tournament MVP following the game. Read more. The continental basketball governing body FIBA Asia praised China’s Wuhan for producing one of the best tournaments at the 26th Asian Men’s Basketball Championships during Sep 15 – 25. Read more. Nuggets free agents Wilson Chandler, JR Smith and Kenyon Martin are all coming to play for a season in China. Wilson Chandler has signed a contract with the Zhejiang Guangsha of the Chinese Basketball Association (CBA). Read more. JR Smith has signed with the Zhejiang Chouzhou Golden Bulls of the CBA for at least one season. Read more. Kenyon Martin agreed to a deal with the Xinjiang Flying Tigers of the CBA. Read more. 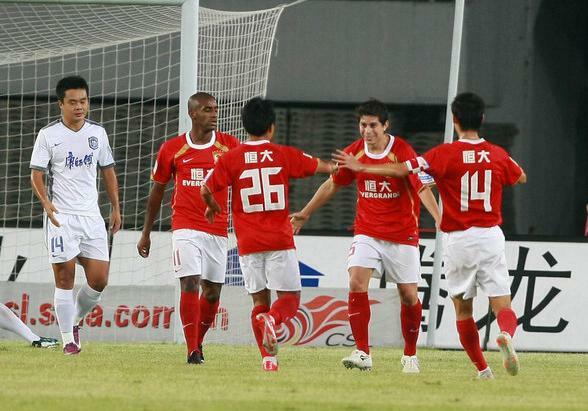 Guangzhou Evergrande FC is about to officially celebrate its first-ever title after dominating the 2011 Chinese Super League from start to finish. Read more. The Chinese Football Association (CFA) sealed a deal with French Ligue 2 club Le Mans as a second step in the fledgling “Future Star” program in Beijing on Sep 16th. China will send 20 to 30 young players aged 13 to 17 to Le Mans in the coming years and expects to attract other French clubs through its cooperation with that club. The “Future Star” program, which started last year, aims to provide Chinese teenagers with more opportunities to play overseas. The first batch will head to Portuguese clubs at the end of this month. Read more. China Soong Ching Ling Foundation officially set up the Youth Soccer Development Fund in Beijing on Sep 19th and will collect millions of yuan every year to support its Soong Ching Ling Soccer Academies in Xinjiang Uyghur Autonomous Region and Yanbian, Jilin province. Read more. Chen Long shocked world number one Lee Chong Wei to win the men’s singles title at the Japan Open on Sep 25th. Read more. The Chinese Badminton Association (CBA) has extended its agreement with IEC in Sports which sees the sports marketing agency acquire the worldwide distribution rights to broadcasts of the China Badminton Super League. Read more. 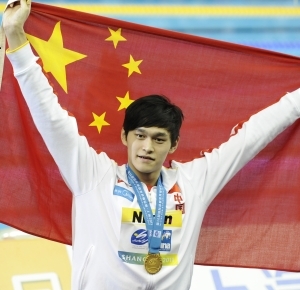 SUN Yang, who set the world record in the men’s 1500 free at Worlds this summer, posted strong 1500 free time at the Chinese Long Course Nationals on Sep 25th. Read more. 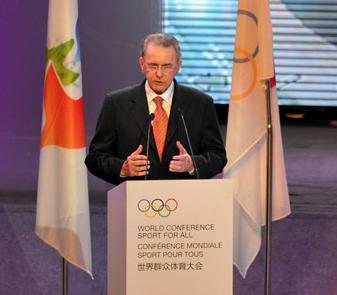 The 14th World Conference on Sport for All opened in Beijing on Sep 21st. Some 600 sports and government representatives, delegates from UN agencies, NGOs and academics from around the world are meeting on the conference in Beijing. Read more. To have free subscription to the blog, enter your email address at right of the home page.